Total approximate duration: 3 hours. Interviewer: Tacey A. Rosolowski, Ph.D.
Margaret Spitz, MD (b. 11 August 1943 in Johannesburg, South Africa ) came to MD Anderson in 1981 as an Assistant Professor in the newly created Department of Cancer Prevention and Control in the Division of Medicine. Between 1995 and 2008, Dr. Spitz served as founding Chair of the Department of Epidemiology. When she left the institution in 2011, she was a full Professor in the Department of Epidemiology, Division of Cancer Prevention and Population Sciences. Dr. Spitz joined the Baylor College of Medicine in 2009. At the time of the interview she was serving as a Professor in the Department of Molecular and Cellular Biology at the Dan L. Duncan Center. Dr. Spitz is known for her work on predictive models for lung cancer and for conceptualizing and promoting the sub-field of integrative epidemiology. This interview had been transcribed according to oral history best practices to preserve the conversational quality of spoken language (rather than editing it to written standards). The interview subject has been given the opportunity to review the transcript and make changes: any substantial departures from the audio file are indicated with brackets [ ]. In addition, the Archives may have redacted portions of the transcript and audio file in compliance with HIPAA and/or interview subject requests. She talks about her experiences as a woman in medical school in South Africa, where she was told she was “taking the place of a man” and where even nurses were unsupportive of women students and physicians. She explains that she and her husband, Lewis Berman, left South Africa because of their opposition to Apartheid. Dr. Spitz also notes that, at the time, she didn’t realize how submissive and deferential she was. Next, Dr. Spitz sketches her educational background, noting stark differences between education for boys and the curriculum she followed at an all-girls high school, where no physics or chemistry was taught. She also notes the lack of mentoring she received, which has motivated her to serve as a mentor in her own professional life. Turning to her medical education, Dr. Spitz notes that her clinical training in South Africa was “exceptional” (1966 Medicine, MB, BCh, University of Witwatersrand, Medical School, Johannesburg, South Africa). She tells an anecdote from her internship at the same University, where she turned down an internship with an anti-female surgeon and was blackballed. Dr. Spitz then explains that she took a hiatus from work for a time after her daughter was born in 1968; she began to do research out of convenience and discovered she really liked it. Dr. Spitz begins this chapter by explaining that she and her family left South Africa in 1978. She notes that “emigration isn’t for sissies,” talks about the decision to come to Houston and then sketches the process of settling in. Dr. Spitz explains that she worked as a physician at an old age home and then decided to do a master’s in public health. Her interest in cancer evolved during this time; she also talks about how family issues influenced her career’s evolution. She notes that she always make family her priority. Dr. Spitz begins by noting that she received her MPH from the University of Texas School of Public Health in 1981 and began to look at job offers. This was when Guy Newell offered her an assistant professorship in the new Department of Cancer Prevention and Control. She briefly sketches Dr. Charles LeMaistre’s vision of cancer prevention. 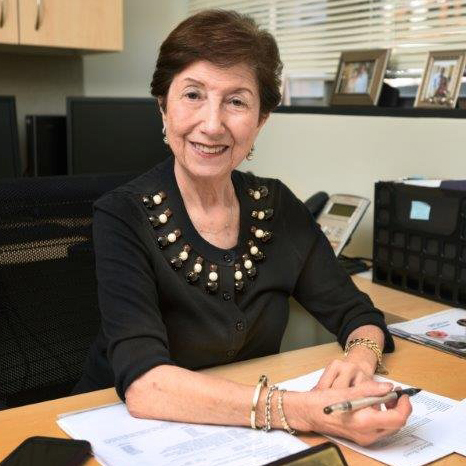 Next, Dr. Spitz tells the story of discovering salivary gland cancer, which led to several publications, then her work linking parental occupations and pediatric neuroblastoma. The latter work gave her exposure. She then discusses her study of lung cancer and mutations to the p53 gene in Mexican Americans and African-Americans. She notes that this study marked the beginning of her real success. In this chapter, Dr. Spitz talks about the creation of the new Division of Cancer Prevention and Population Science under Dr. Charles LeMaistre and her role heading the new Department of Epidemiology. She notes that she suggested Dr. Bernard Levin [oral history interview] to head the Division. She also notes that MD Anderson had three population sciences programs at the time, which was “unheard of” in a cancer center. Dr. Spitz then talks about why the Department of Epidemiology was formed at this time she then talks about her activities as Acting Chair and then Chair of the Department (1992 – 1995; 1995 – 2008). She lists her recruits and tells an anecdote about securing laboratory space for them. Dr. Spitz notes that the Department was “my baby.” She talks about intentionally creating an environment to provide a good quality of life. She notes that many of the supports for staff and faculty that she instituted are no longer in existence. Next, Dr. Spitz notes some particular achievements in the Department. Lung cancer research became a focus and the Department created a Lung Cancer Database that continues to serve as a great resource. She lists several activities that focus on lung cancer. Dr. Spitz next explains why she stepped down as Chair in 2008. Dr. Spitz talks about her research interests in lung cancer in this chapter, beginning with the idea that captured her intellectual interest: only a small percentage of people who smoke develop lung cancer. This led to her major contribution to the fielcreation of a lung cancer prediction model that was used for many years (she notes that another, better one is now in use). She then talks about her other roles as a consultant and as a recently appointed member of the National Cancer Advisory Board. Dr. Spitz next observes that this has created the need for training programs to provide researchers with the necessary skills to work on teams. She also states that the culture of institutions needs to change to adequately recognize team science. Dr. Spitz talks about her pride in having developed the Integrative Epidemiology Workshop, an outgrowth of her innovative concept of integrative epidemiology. She explains this concept and talks about the mindset, skills, and temperament that researchers need to bring to work in this area. She explains how academic science needs to change to foster more team science. She reflects on the legacy she has left in MD Anderson’s research culture. Dr. Spitz notes that she would like to be able to spend more time with her grandchildren, an observation that leads her to share that mentoring has been both the most challenging and rewarding dimension of her career. She next talks about her leadership style and explains that to be a leaders, one must have reached a career pinnacle and leave competition behind. She talks about participating in leadership training and offers advice to young leaders. In this chapter, Dr. Spitz talks about challenges and changes for women faculty at MD Anderson. She recalls the salary review spearheaded by Elizabeth Travis and others and changes that came from that initiative. She notes that she herself was the first female MD to become a department chair. She also recalls the dinner for senior women at which she receive the Faculty Alumnus Award. She talks about contributing an essay to the book about senior women, Legends and Legacies and shares her views about the group photo of the contributors in eveningwear. Dr. Spitz first talks about big changes she saw at MD Anderson during her career and then reviews her contributions to the Department of Epidemiology. She first talks about the impact of the requirement under Dr. Mendelsohn’s presidency that faculty supply 30% of their salaries from grants. She talks about the effect of rapid growth on the culture of the institution. Dr. Spitz then turns to a discussion of the culture of the Department, noting her efforts to create a collegial environment with good quality of life. At the end of the interview, she talks about the sub-area she created, integrative epidemiology that leverages the strengths of multiple sciences.